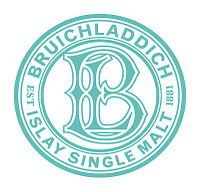 Federal Wine & Spirits’ Masterclass and Free Tastings with Bruichladdich’s Jim McEwan! Join all three of us at The Omni Parker House Hotel in Boston on Friday, October 28th for tastings and a masterclass with Bruichladdich’s Jim McEwan! The masterclass is $110 and at 7:30, but there are two free tastings with Jim before that, at 4:30 and 6:00!